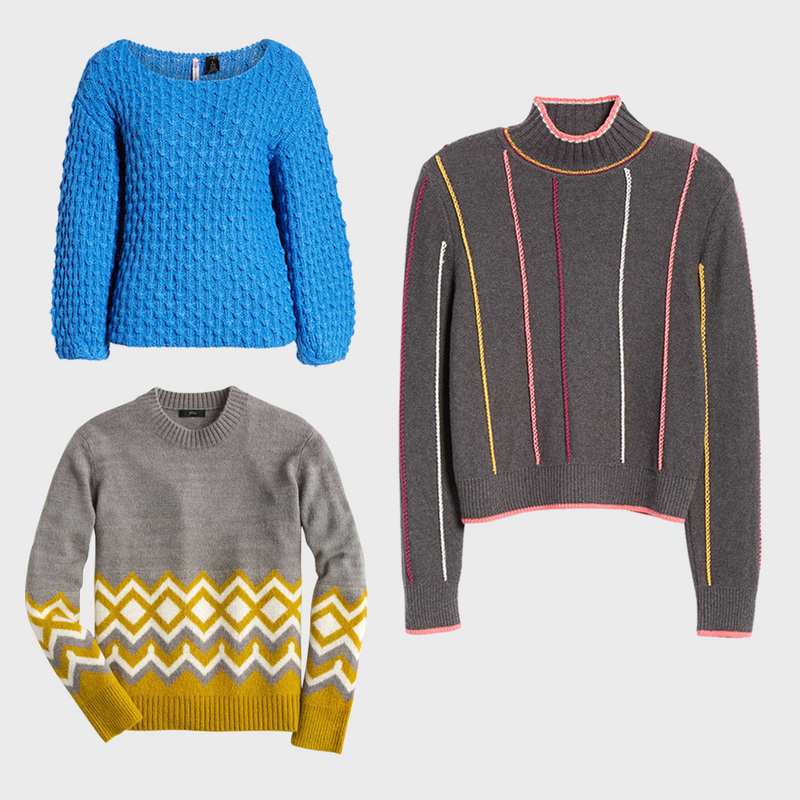 It’s official: Head-turning knitwear is having a moment. Sweaters may be one of our favorite staples for cozying up at home, but these statement pieces are designed to be seen. The right one can bring your whole outfit to life, especially if eye-catching accents, playful prints, and bold colors are involved. This is a trend you can really have fun and express yourself with, so don’t hold back. We’ll help you get started with some of our favorite styles. A classic silhouette comes to life when whimsical prints are added. From preppy plaids in cropped styles to artistic motifs, you’ll find plenty of approaches to try. 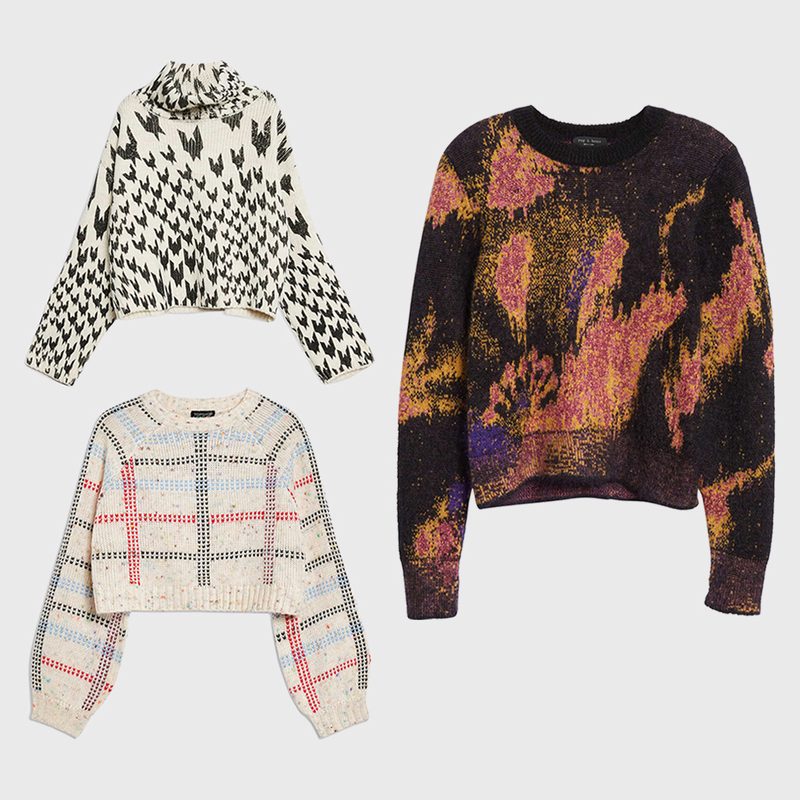 Prints are a good way to branch into the statement sweater trend because the shapes and colors often remain classic and wearable. If you’re prepared for a walk on the bolder side, distinct accents are a high-fashion way to add this trend to your repertoire. 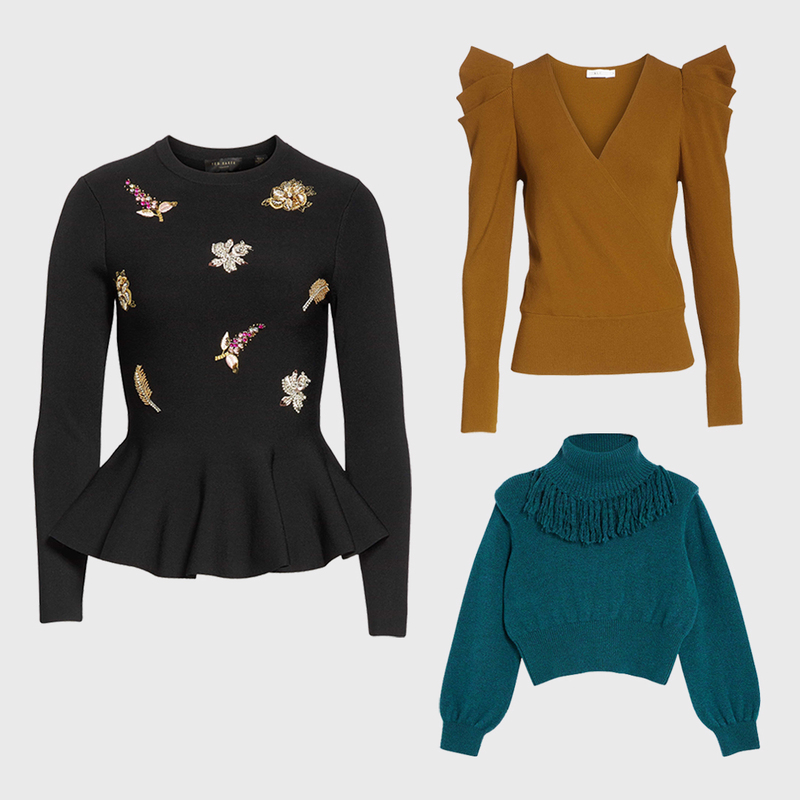 Shoulder flares, peplum hems, and fringed necklines turn a basic top into something special. Remember: A single accent looks elevated and gives your outfit a point of view. Keep the rest of your outfit simple and streamlined. 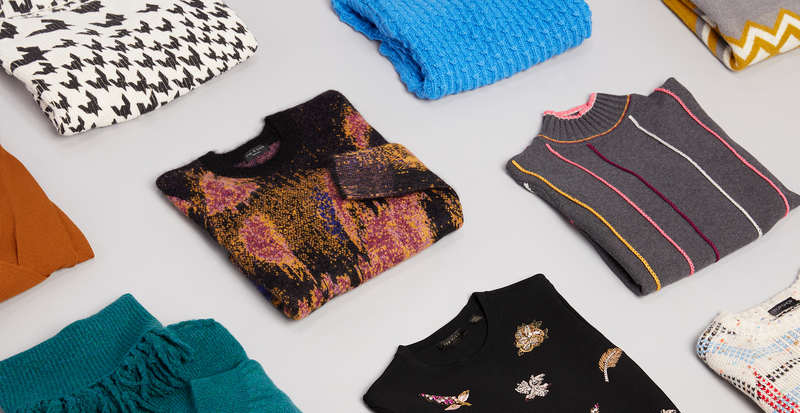 Brightly colored sweaters will make your outfit pop, and—let’s be honest—they’re just really fun to wear! Go for all-over color when you want a more modern look. Primary colors and jewel tones pack a punch and are easy to style. You can also mix muted colors, like grey, with brights and pastels for a fresh take.